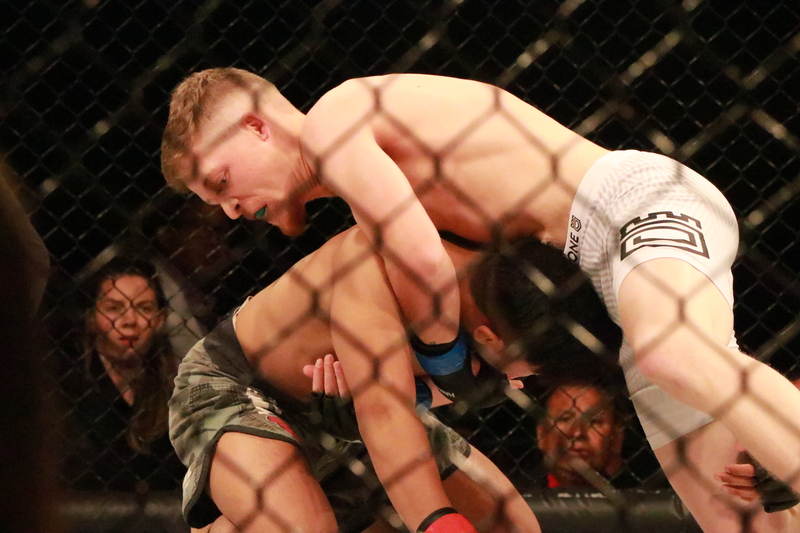 MESQUITE, Nev. — Amateur mixed martial artists from around the region are gearing up to enter the cage for an action-packed night of fights inside the CasaBlanca Events Center. Tickets are still available for the “Mayhem in Mesquite XVI” event, scheduled for Dec. 15 inside the CasaBlanca Events Center at CasaBlanca Resort. The event, scheduled to start at 7 p.m. PST (8 p.m. MST), is presented by Mesquite Gaming in partnership with Tuff-N-Uff: The Future Stars of MMA. The evening’s 14-fight card, which is subject to change, includes several fighters from Southern Utah, including Heather Allen, who trains at the Cedar City Jiu Jitsu gym. In the first of two female fights scheduled, Allen, who has a record of 1-1, will be facing newcomer Tamika Jones of Las Vegas in the 110-pound class. Morgun Colledge of St. George, who trains at Fusion MMA, will be trying to improve his 2-2 record when he faces Vance Elrod of Las Vegas in the 140-pound weight category. Two fighters from Raven Self Defense Academy in Hurricane are expected to make their debuts: Brandon Honsvick at 145 pounds and Joshua Tolbirt at 155 pounds. Also scheduled to compete in their first sanctioned MMA fights are Taylor Kates, an independent fighter from St. George who is scheduled to fight Honsvick, and Bailey Hogan, also from St. George, who will fight Cameron Cooper of Las Vegas in the 185-pound category in the evening’s first scheduled match. Other St. George area fighters scheduled to compete include Hyrum Labaron at 130 pounds, John Varela at 145 pounds, Danny Arellano at 135 pounds and Zane Darlington, who is scheduled to fight Tolbirt at 155 pounds. Other scheduled matchups include a title bout in the 205-pound category, with Billy Elekana of Las Vegas taking on Bryan Battle of Charlotte, North Carolina, for the light heavyweight title. Elekana, who began his MMA career three years ago, is looking to improve upon his 4-0-1 record. Meanwhile, Battle is reportedly the No. 1 ranked middleweight/light heavyweight fighter in the Southeast, sporting an 8-1 record. In the evening’s other title bout, 125-pound fighters David Lopez and Bronson Sabado will enter the cage to fight for the Tuff-N-Uff flyweight championship belt. Lopez, from Costa Mesa, California, was a wrestler on the Greece national team and has been fighting for Team Quest to further his MMA career. Sabado, of Las Vegas, has been fighting MMA for five years and comes from a background in boxing, Muay Thai and jiu jitsu. Doors will open for the main event at 6 p.m. PST, with the fights starting at 7 p.m. PST. General admission tickets are $15 and VIP seating starts at $30. 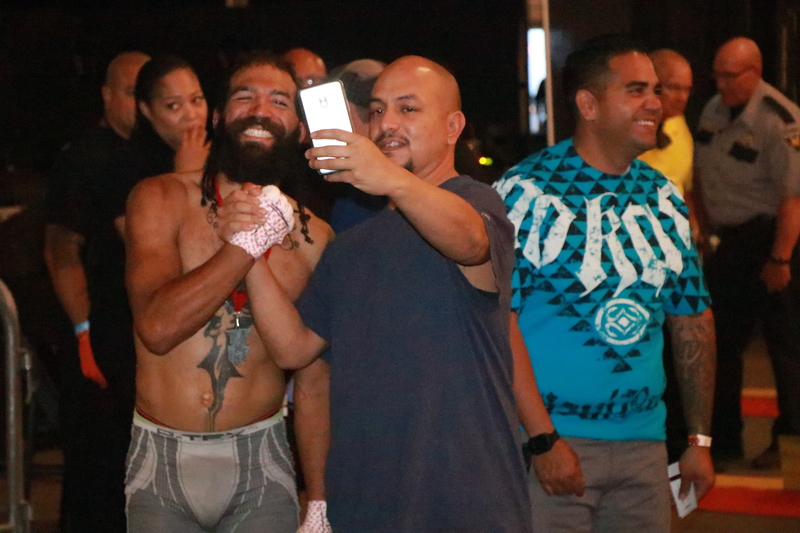 Following the fights, there will be an official Mayhem in Mesquite after-party featuring DJ #Juan (Numba Juan) inside the resort starting at 10 p.m.
What: “Mayhem in Mesquite XVI,” an evening of mixed martial arts fights. When: Saturday, Dec. 15 at 7 p.m. PST (8 p.m. MST) Doors open at 6 p.m. PST. Where: CasaBlanca Events Center at CasaBlanca Resort, Mesquite, Nevada. Click here for map. Cost: General admission tickets are $15 and VIP seating starts at $30. Click here to order tickets online. Additional details: CasaBlanca Resort is offering an exclusive “Mayhem in Mesquite” room rate of $55 with the promotional code MMAPK16. See website for details. For more information on Mesquite Gaming visit mesquitegaming.com or follow Mesquite Gaming on Facebook, Instagram, Twitter and YouTube.